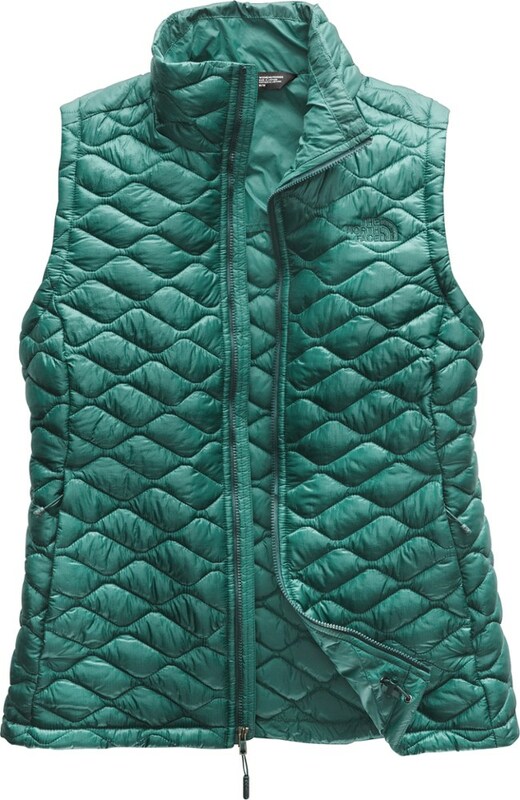 Good people of the campfire, rest easy -- The North Face ThermoBall(TM) Vest is made from 100% nylon ripstop and PrimaLoft(R) ThermoBall(TM) low bulk and quick to dry insulation, all the good stuff to keep you warm and ready for just about any outdoor adventure. 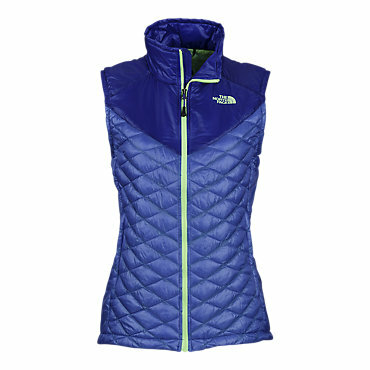 An updated bottleneck quilting pattern and tried-and-true ThermoBall(TM) insulation make The North Face ThermoBall Insulated vest for women a warm, do-it-all layering piece. 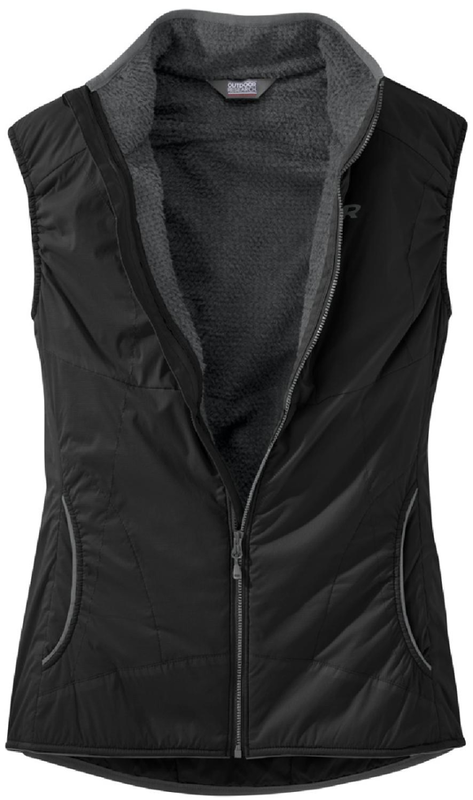 Burly jackets are great when it's dumping snow and you need real coverage, but when the weather is just chilly enough to warrant a bit of core warmth, slip on The North Face ThermoBall Insulated Vest for a temperature boost that won't have you sweating up a storm while you ascend up the trail. 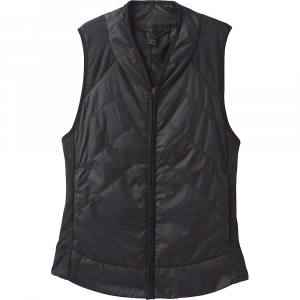 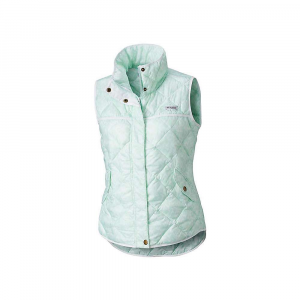 The ThermoBall vest is perfect for hiking, backpacking, camping, and as a layer under ski jackets on cold days. 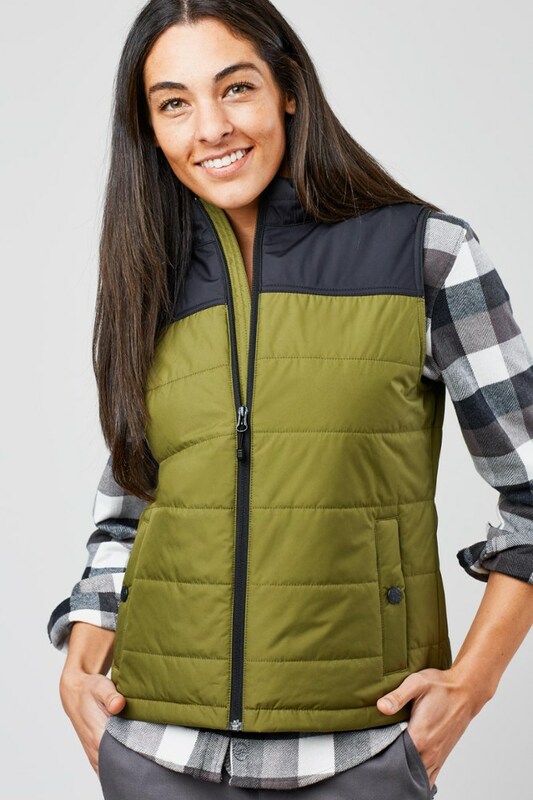 Insulated with PrimaLoft ThermoBall synthetic insulation, this vest is seriously lightweight, at less than half of a pound, and packs into a super small space making it an awesome piece to bring along on backpacking trips through the mountains. 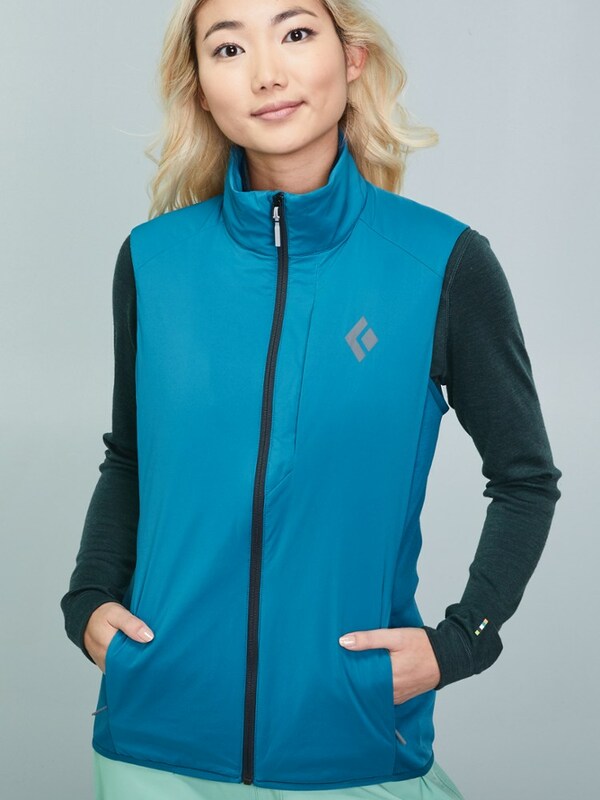 The Thermoball vest is lower profile and lighter than the burlier North Face Aconcagua down vest, and the synthetic insulation maintains warmth even when wet, unlike down which sacrifices its insulating properties when moisture gets in.